For some, working in the yard during the summer can cause serious health concerns, and because we at Mr. Tree and Lawn Service care about not only your lawn, but you, too. Here are three tips that’ll help keep allergens down while you’re working in the lawn this allergy season. Protect your skin and your eyes. If it’s not too hot, wear long sleeves and pants while working in the garden. This will protect you from a skin allergic reaction. Wearing a pair of shades while gardening also helps decrease the chances of pollen irritating your eyes. Wash up after. – After working in the yard, it’s best to immediately shower to wash away any dirt and/or pollen you may have come in contact with. Stay up on your allergy meds. 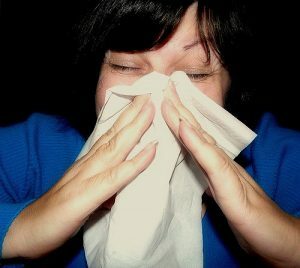 – Over the counter antihistamines are great for treating pollen and grass allergies. If you still don’t have relief, you may try talking to an allergist to see what medicines are best for you. By following these three tips, you’ll be able to enjoy the outdoor this summer! Since you’ll be enjoying the outdoors, let us handle your lawn. Don’t worry, it will be beautiful when you come back. For more information about Mr. Tree and Lawn Service visit our website or call (352) 682-4444.